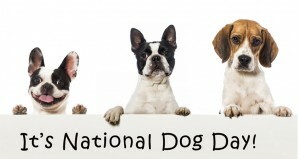 Happy National Dog Day to all of our fellow dog lovers out there! As we all know, dogs have been considered “man’s best friend” for as long as we can remember, but the relationship between your dog and your air conditioning system is a little more complicated. How Can Dogs Affect Your A/C? Seeing dog fur on the carpet and furniture is very common and quite easy to remove, but did you know their fur actually gets into the filters, ducts, and coils of your air conditioning unit as well? Extreme build-up of fur and dander in your system can cause damage to the unit and affect its ability to cool the home. 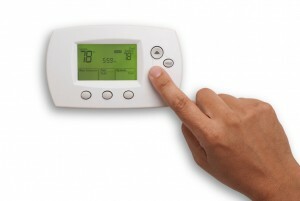 This can also cause allergens and smells to circulate throughout your home. Posted in Air Conditioning, Indoor Air Quality | Comments Off on Happy National Dog Day to all of our fellow dog lovers out there! Congratulations to Trane for 100 years! Air on Demand congratulates Trane, the manufacturer of many systems we install and service, on 100 years of partnership. In 1885 James Trane opened his first plumbing business in La Crosse, Wisconsin and is widely viewed as one of the best area plumbers. Fast forward to 1913, James Trane, with the help of his son and daughter, produce their very first steam heating system. Soon after James’ son, Rueben Trane, starts a program that helps train recruits on service, selling and engineering Trane products to help increase the adoption of their products. Meanwhile he also invents a new “convector radiator” which is more efficient and lightweight, which quickly becomes the new standard for heat exchangers within the industry. With the success of the new “convector radiator” Rueben discovers that you can also cool air with the same system and shortly after the Trane Unit Cooler is invented. While these were some of the first steps towards becoming an industry leader there have been many other steps along that way that have help Trane become an industry leader in HVAC systems. We at Air on Demand congratulate Trane on their 100 year anniversary and wish them well on the next 100 years as a partner and industry leader. If you live in the Miami area and need service, repair or would like to discuss installing one of their industry leading solutions call us today at Air on Demand to speak with one of our specialists. Posted in Trane | Comments Off on Congratulations to Trane for 100 years!